Well finally did it. During the reptile show in Manchester NH, I came across a little guy I've been wanting for a long time (I wrote a care sheet about half a year ago, that wasn't the best, and was missing some crucial information). After examining it and making sure it's healthy, I had to go for it. According to the seller its 75% red, and 25% yellow, and they got it from NERD, a very well trusted company. So far its already ate for me, and is currently sleeping peacefully. Any advice from ackie keepers would be greatly appreciated! Also, not sure about the gender, so I need a gender neutral name. In addition, I removed the wood for now because of a escape attempt. I'll be sawing it down to get rid of some of the height. How was the expo? I didn't end up going. Also, have you been to the MA one in Brockton? Thanks! Yes, I believe I did last year. It's not nearly as big as the one in Manchester, but it's definitely worth it for a reptile lover. I think I'am calling it after the ackie for now, in terms of what species I plan on keeping myself. Last edited by DJC Reptiles; 01-29-18 at 08:32 AM..
Hi, can you show the whole enclosure including a view of the top? Thanks! The first picture shows a decent view of the entire enclosure, including some of the top. 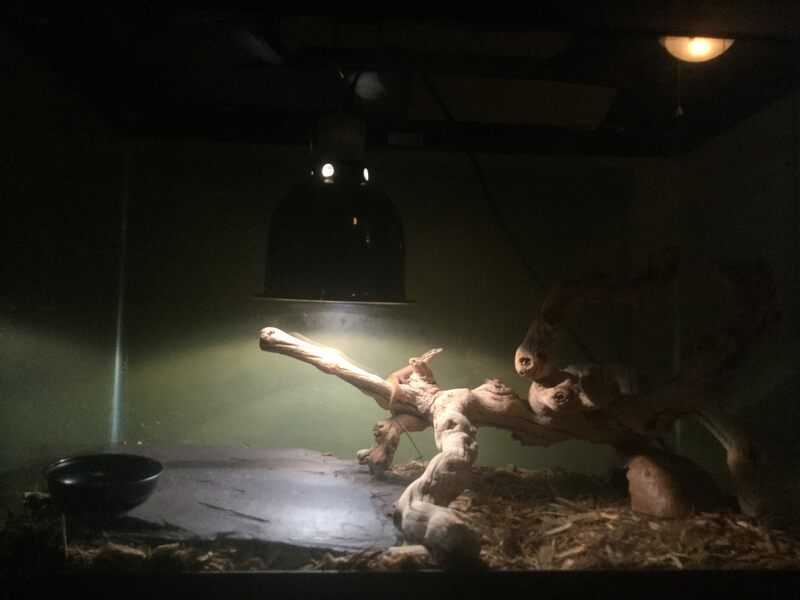 It's a temporary enclosure, and it's plenty of space for a baby ackie monitor. I'll be building a new one in about a year, that will be for a adult. The tank used to be a fish tank, so there are openings where the pump, and food would go, hence why I removed the wood. I'll be working on making a more secure top soon. I can't take a picture right now, for reasons I would like to keep private. If you truly want a better picture of the entire enclosure, I'll take it tomorrow with better lighting. 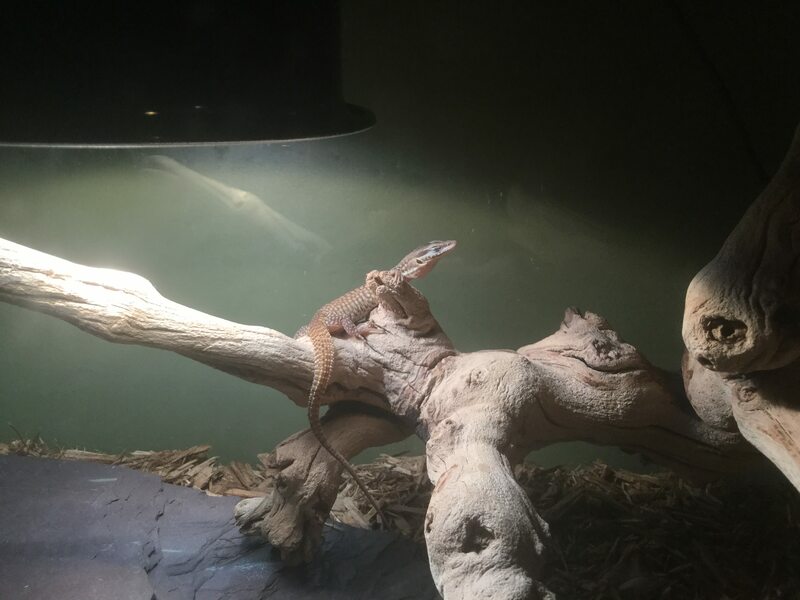 I`ll be blunt because you spend a good deal of time telling other people how to take proper care of their reptiles (you keep trying to teach when you need to ask questions and learn). There is absolutely no way the tiny fishtank is suitable other than VERY temporarily (a couple of weeks at the most) for the following reasons; it will be difficult to achieve a decent temp and humidity gradient, there isn`t enough height to provide a reasonable depth of substrate (at least 6 inches) neither can you offer suitable nesting for that reason if the monitor is female (it might be sexually mature within the next 3 months or so) which makes your plan of "upgrading" in another year quite ridiculous (I doubt it will still be alive under present conditions). It`s VERY disappointing that this is the best you can offer considering that this is the most critical time of their life, everything needed to be in place from day one for it to flourish. I said I would be building an enclosure in a year, not upgrading. I know about providing more substrate, I already have, this is from the day I got it. How is there not enough height? That "tiny" tank is 2 1/2 feet tall, and 2 1/2 feet long, which is plenty to provide a thick layer of substrate for the time being. Yes, it is just temporary, for the next couple of weeks. I know what I am doing, and I know what I got into, I don't need you telling me all the things you think I am doing wrong. Maybe I shouldn't be helping so many people, yeah, I'll just sit back and learn. Great idea, I'll let the others with the years more experience than I have take care of everything. I mean, just a stupid kid like me right? Who doesn't know what I am doing. Oh wait, your feeding your garter snake rodents? Well why not switch it to cat food! So much more manageable! Snake have a respiratory infection? Well lower the humidity then! So easy! I'll help when I know the answer, and I am understanding enough to know when I am wrong and apologize for it. I appreciate you trying to help, but you don't need to constantly have that tone of you will fail, and your monitors going to die in a year. If you want to help, give advice for what you do with your monitors, but stop trying to see me as a unreasonable, see it-grab it kind of person. I did my research, I know what I am doing. Listen, he may be harsh, but only because he poked right through your care guide written while you never owned one (so basically a compilation of articles online which unfortunately contain a lot of crap information copy-pasted over and over). I'm sure you have good intentions, but some things have to change in your setup for your monitor to thrive. Leaving the whole size thing out of it, as they need a lot of space, the substrate in there is most bothering. Without the access to underground microclimates many species from dryer climates, like your ackie, will have an issue. Underground burrows can maintain a much higher humidity level as above ground. In fact it can reach up to level of 80%+ in there, providing refuge from the dry outdoors. So for starters I would seriously consider changing that cypress mulch to a deep sand/soil (organic topsoil without fertilizers) mix. I have to do the same for African dry scrub snakes I keep.. they just don't do well without access to underground burrows for humidity/cooling off, and they won't do well in a wet/colder environment. You should provide options for their natural behavior for them to thrive.. I'm sure murrindindi will add his knowledge in the mix, I personally don't have ackies, but I know some people who do. He will be able to tell you details on how to set him/her up, so I would suggest you listen to him and also come off the high horse by saying "I know what I am doing" (obviously you read online how people keep them) while you're on your first venture with ackies.. Let's start by thinking the other way around and simply ask "How can I best keep them, and why? I have read so and so about them, is this correct in your experience?" and so on. No offense here, I'm just trying to straight it out hoping it won't turn in a poop slinging match out of which only the monitor is a victim.